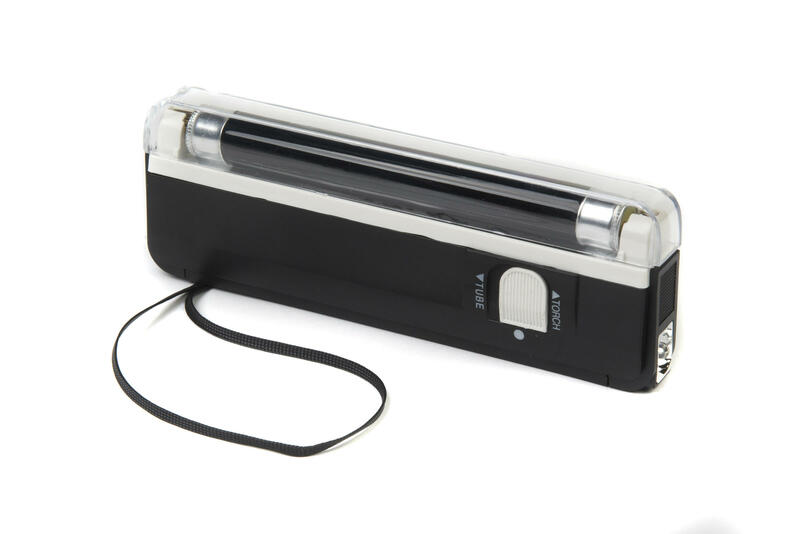 Battery powered Ultra Violet light source ideally suited to demonstration use. Comes complete with on/off switch. Requires 4 x AA batteries (not supplied). Dimensions (L x H x W): 165 x 35 x 41mm.